This whole thing is ENTIRELY REAL, incidentally. 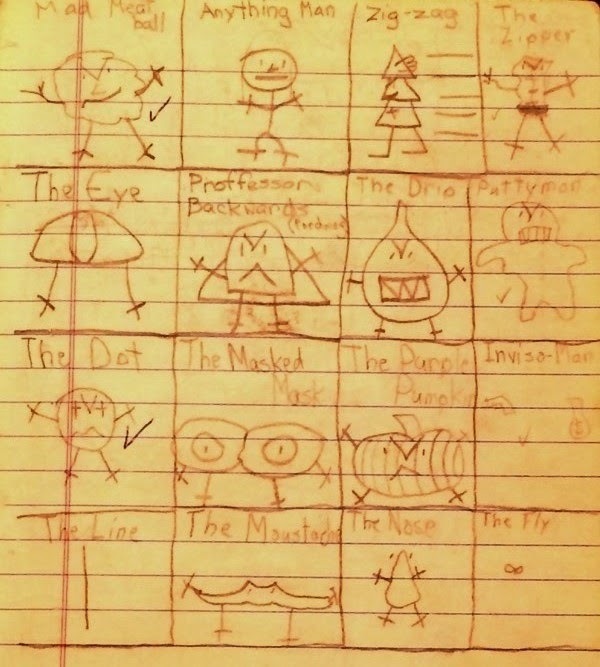 I found my old notebook of Super Gumdrop stories from when I was a kid, and these are accurate reprints of my original trademarked characters. 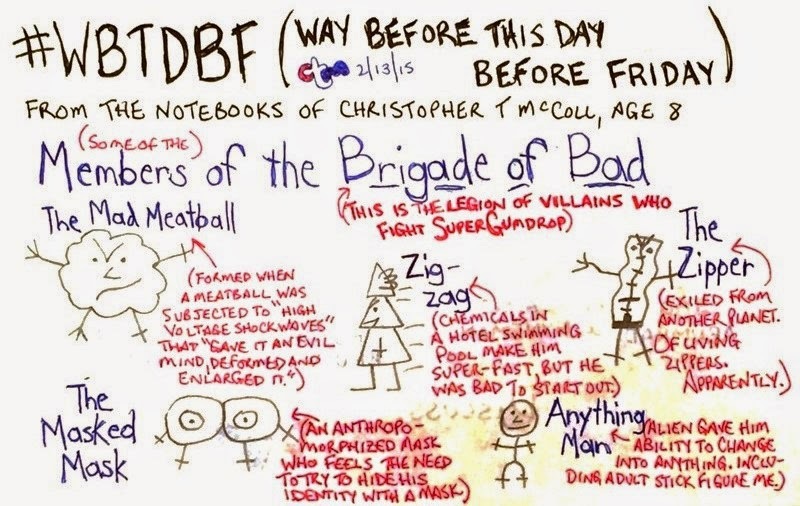 The origin stories for The Mad Meatball, Zig-zag, The Zipper, and Anything Man are absolutely as I describe them here. This should establish once and for all how little artistic growth I have experienced in my lifetime.